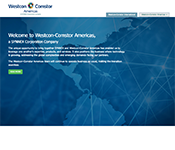 Westcon-Comstor Americas, a Division of SYNNEX Corporation, operates in North and Latin America and focuses in security, collaboration, networking, and data center. Our expert technical knowledge and industry-leading partner programs are designed to keep our partners at the forefront of their markets to drive business and growth. 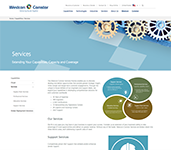 Westcon-Comstor Americas goes to market under the Westcon and Comstor brands.